On any given night in the National Hockey League, there will be at least one matchup that features two former GTHL teammates going head-to-head or playing alongside one another. 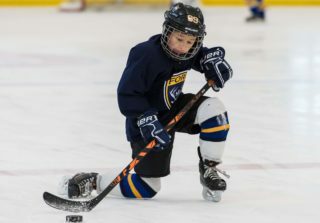 The GTHL has seen no shortage of up and coming young superstars grace the ice of local Toronto arenas, however, casual fans may be surprised at just the amount of talent some of these rosters displayed. 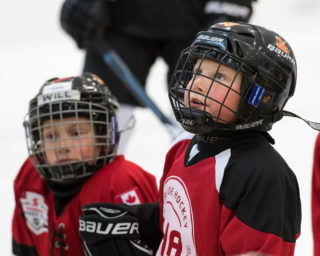 The 1990 birth year saw some intense rivalry from teams around the GTA, with tournament finals often ended in a heated battle between Steven Stamkos‘ (OMHA) and the Toronto Jr. Canadiens. Coached by the late Tyler Cragg, the 2003-04 Minor Bantam Toronto Jr. Canadiens featured a strong defensive core led by NHL All-Star Alex Pietrangelo. Up front, the team rostered Cody Hodgson, a forward who would be drafted 10th overall by the Vancouver Canucks in 2008 and play six seasons in the NHL, as well as Phillip Varone – a centreman who would play for the Buffalo Sabres for three seasons before joining the Leigh Valley Phantoms (AHL). In total, five players from the roster would end up playing at least one game in the NHL, while many others played at the junior level in the OHL. When Tyler Seguin was traded to the Dallas Stars in 2013, the move would mean a reunion with Minor Midget teammate Jamie Oleksiak. In addition to Seguin and Oleksiak, the 2007-08 Minor Midget Toronto Young Nationals was captained by Buffalo Sabres winger Jeff Skinner. Despite their talent, the Nats would fall short in the GTHL playoffs, losing to the equally as talented Toronto Jr. Canadiens. Like the Nats, the 2007-08 Minor Midget Jr. Canadiens also had some future household names in Tyler Toffoli (Los Angeles Kings) and Devante Smith-Pelley (Washington Capitals). With Toronto Maple Leafs legendary enforcer Tie Domi behind the bench, the 2010-11 Don Mills Flyers featured Max Domi (Montreal Canadiens) up front, with Darnell Nurse (Edmonton Oilers) leading on defense. 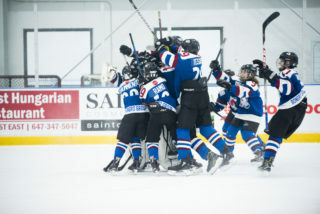 Despite their talent, the 2010-11 Don Mills Flyers just couldn’t seem to get past Nick Richie‘s Toronto Marlboros squad, falling to the Marlboros in both the GTHL playoffs and OHL Cup Final. Any hard feelings may have been leftover were dropped when Domi, Richie, and Nurse won World Junior gold together in 2015. Although all eyes were on underager Connor McDavid, there was a lot more to the 2011-12 Minor Midget Marlboros than the emerging young star. Josh Ho-Sang (New York Islanders) would lead the team in points, while McDavid and Sam Bennett (Calgary Flames) followed closely behind. Current American Hockey Leaguers Roland McKeown, Darren Raddysh, and Jeremiah Addison rounded out the team who just couldn’t manage to crack Robbi Fabbri‘s Mississauga Rebels. 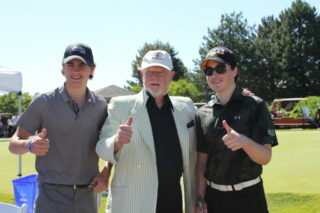 The Marlboros would fall to the Rebels in overtime of the 2012 OHL Cup Final. 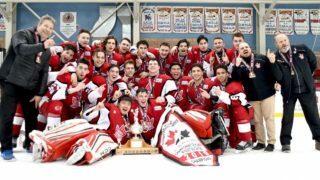 The players on the 2015-16 Minor Midget Mississauga Rebels may not be household names just yet, but it’s only a matter of time before the players are regulars on your television on Saturday nights. 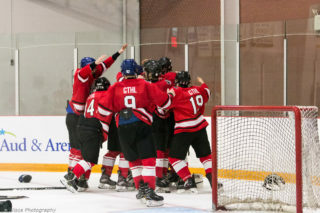 The team, most of whom played together since their Minor Atom year, were often the talk of the GTHL, winning seven Scotiabank GTHL Playoff titles and six GTHL Regular Season Championships (formerly the Kraft Cup). Riley Damiani (Kitchener Rangers) was the first player from the roster to be drafted into the NHL, selected in the fifth round by the Dallas Stars in 2018. Five players from the roster have played more than one game in the Ontario Hockey League, while Jack Hughes (USNTDP) is projected to be a high draft pick at the 2019 NHL Entry Draft.